Mass is held in the Arboretum while the Cathedral undergoes renovation. Find available Mass times in your preferred language. 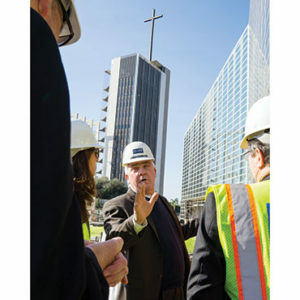 Tours of the Christ Cathedral Campus are scheduled six days a week and generally last 30 to 45 minutes. All tours are wheelchair accessible. Join the Diocese of Orange and Orange Catholic Foundation for our celebration. Watch the progress of the renovation of Christ Cathedral. Welcoming students pre-school through 8th grade to its state-of-the-art facility on the Christ Cathedral campus. Cathedral Memorial Gardens is a beautiful, garden-like ecumenical cemetery and mausoleum located on the Christ Cathedral Campus in Central Orange County. 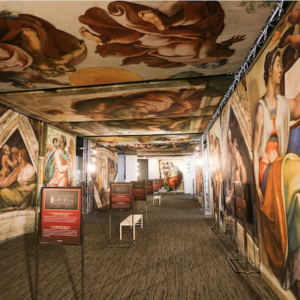 Walk the 11 Stations of Mercy on the Christ Cathedral campus.